STUNNING NEW TWO-STORY HOME UNDER CONSTRUCTION IN THE OAKLAND HUNT COMMUNITY LOCATED MINUTES AWAY FROM DOWNTOWN ROCHESTER. 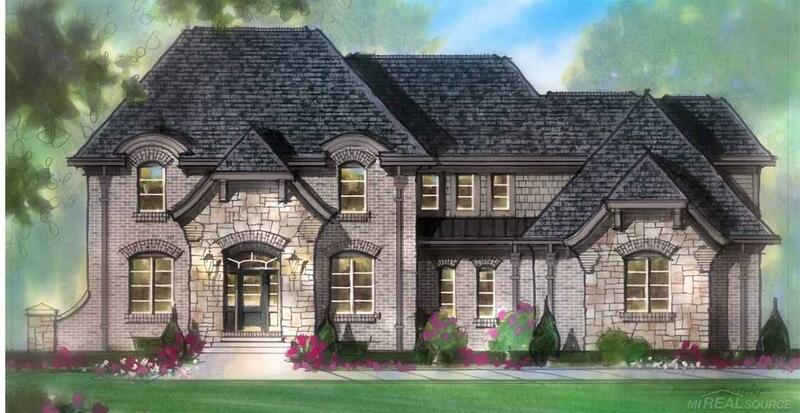 THE RESERVE TANGLEWOOD--INCLUDES 4 BEDROOMS, 3 1/2 BATHS, FAMILY ROOM, SITTING ROOM, HARVEST ROOM, DINING ROOM, STUDY, LOGGIA, FULL 10&apos; DAYLIGHT BASEMENT WITH THREE-PIECE ROUGH PLUMBING AND OVERSIZE FOUR-CAR SIDE-ENTRY GARAGE WITH LARGER DRIVEWAY. WOOD-BURNING FIREPLACE AND 12&apos; CEILING IN FAMILY ROOM. CUSTOM WINDOW OPTION. OVERSIZE PANTRY. HOME WARRANTY. OCCUPANCY--2019.